The Confederation of Netherlands Industry and Employers (known as VNO-NCW) is the largest employers' organisation in the Netherlands. VNO-NCW represents the common interests of Dutch business, both at home and abroad and provides a variety of services for its members. Over 160 (branch) associations are members, representing more than 185.000 enterprises. They cover almost all sectors of the economy, including more than 80% of all medium-sized companies in the Netherlands and nearly all of the larger, corporate institutions. VNO-NCW represents the interests of Dutch business and industry and provides a range of services to its members. VNO-NCW strives to represent its members' interests by promoting a high quality business environment and investment climate in the Netherlands, with a view to boosting the competitiveness of Dutch industry. VNO-NCW's involvement extends to matters relating to education, infrastructure, public finances, taxation, the environment and social security. VNO-NCW's role in representing its members is reflected in its active ongoing contacts with the government, politicians, public authorities, trade unions and non-governmental bodies. As such VNO-NCW helps to define the socio-economic climate in the Netherlands; it also contributes to the drafting of new laws and regulations and has a say in government decisions which may affect the business sector. As the voice of Dutch business, VNO-NCW sits on numerous government advisory and consultative committees. The most important of these are the Social and Economic Council (SER), one of the Dutch government's key advisory panels, and the Labour Foundation, the official central consultative forum for employers' and trade union representatives. VNO-NCW also consults with the government regularly on behalf of Dutch industry. Alongside these largely institutionalised forms of representation, VNO-NCW also maintains less formal contacts with politicians, governments and other social groupings (such as other employers' organisations at home and abroad, trade unions, environmental groups and consumer organisations), the media and international organisations. 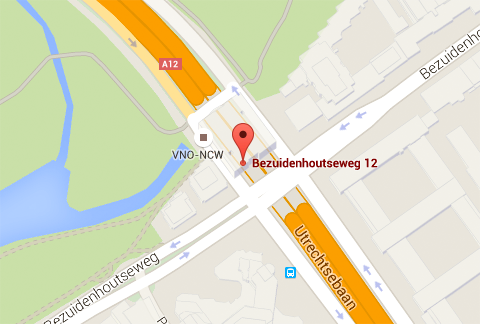 To help it represent the interests of Dutch business in the European Union, VNO-NCW has its own office in Brussels. It is also a member of the European employers' organisation and actively participates in the policy-making of this body. At an international level, VNO-NCW represents Dutch companies in the Geneva-based International Labour Organisation (ILO) and, through the BIAC, in the OECD, the collaborative association of Western industrialised nations. VNO-NCW also has its own representatives in dozens of countries around the globe. A key part of the services provided by VNO-NCW consists of the large volume of up-to-date information it maintains relating to business and industry. This information covers the entire socio-economic, economic, financial, fiscal, legal and ecological spectrum. VNO-NCW's provision of rapid, reliable and customised information allows companies to exploit relevant developments at an early stage. VNO-NCW's written publications (e.g. Weekly Bulletin, Forum) are a key part of this service. Other aspects of the services provided include direct contacts between VNO-NCW representatives and its affiliated members, information brochures, information gatherings and a telephone helpline. The service provided by VNO-NCW primarily targets its affiliated sector organisations, direct member companies and regional employers' associations. Hans de Boer is president of the Confederation of Netherlands Business and Employers VNO-NCW since July 1 2014. Prior to his appointment as president, De Boer was an entrepreneur and non-executive board member while at the same time which led him to become active in many public-private initiatives. Between 1997-2003 he was president of SME-Netherlands. During this period he was also active as chairman of the Youth Unemployment Task Force and initiated the restoration of vocational schools in the Netherlands. In a further past Hans de Boer founder and managing shareholder of the Office of Economic Argumentation, which he sold to KPMG. As president of VNO-NCW he is vice-president of the SER (the Social Economic Council) and co-chair of the Labour Foundation. Hans de Boer studied economics at the VU University in Amsterdam. He is married and has two children. Over 115,000 enterprises are directly and indirectly affiliated to VNO-NCW. The majority derive their membership through over 160 (branch) organisations that subscribe to VNO-NCW. Some companies - chiefly the bigger ones - have direct membership. VNO-NCW's members represent almost every sector of the Dutch economy, from industry and commercial services to construction, the retail trade and the health care sector, and from capital- intensive to labour-intensive businesses. VNO-NCW represents the whole of Dutch industry, from the smallest firms to the largest corporates. all companies in the Netherlands employing more than 500 staff. The members of VNO-NCW fulfill a crucial role in the work of the organisation, since they help to prepare and ultimately determine the policy VNO-NCW pursues. In terms of policy preparation, members participate in a large number of committees (classified according to policy area), as well as in platforms and monitoring groups (classified according to sectors and business categories). These are not only important for policy preparation, but also play a crucial role in the provision of information. With regards to policy-making, the members basically decide on the position adopted by VNO-NCW on relevant issues. The VNO-NCW Executive Board is composed entirely of representatives of member associations and companies. Whereas policy is prepared by the Executive Board, which meets every three weeks, the General Council, which meets every six weeks, is VNO-NCW’s highest policy-making body. The Executive Board is fully representative of VNO-NCW members, and includes small and medium-sized enterprises as well as multinationals. Seats on the Executive Board are also distributed between the various regions and across all sectors of the economy. The VNO-NCW president fulfills a special role in the Executive Board. Not only is he responsible for the running of VNO-NCW as a whole but he also acts as the confederation's external spokesperson. VNO-NCW is the largest, though not the only employers' organisation in the Netherlands. The other two organisations are MKB-Nederland, which represents the interests of small and medium-sized enterprises, and LTO-Nederland, which represents the agricultural and horticultural sectors. VNO-NCW cooperates closely with MKB-Nederland through a shared work organisation. VNO-NCW negotiates and works with both these organisations in the RCO Netherlands Council of Employers' Federations. Limburgse Werkgevers Vereniging LWV (representing businesses in Limburg). Also affiliated to VNO-NCW is Jong Management, an association of over 1,300 young entrepreneurs and managers below the age of 40. The purpose of Jong Management is to create and maintain a social network for young entrepreneurs. AWVN, which supports and advises companies and business sectors on matters relating to employment conditions. As of September 2009 VNO-NCW cooperates closely with MKB-Nederland through a shared work organisation situated in The Hague. In 2008 VNO-NCW and MKB-Nederland decided to further intensify their existing cooperation, retaining complete independence of the two associations and their board structures. The secretariat of approximately 200 staff carries out most of the work of representation and service provision. The secretariat is divided into six policy groups and various departments. backing of and participation in the BUSINESSEUROPE lobby, with regard to subjects of interest to the entire European business community. The entrance to the parking garage is at the rear of the building (Boslaan). In the event that this garage is fulll, you can park in one of the surrounding parking garages such as Q-Park cs – New Babylon. The Malietoren is a 5 minute walk from Den Haag Centraal train station. Engelstalige informatiebrochure over VNO-NCW. Er is ook een Nederlandstalige versie: Dit is VNO-NCW. A structural growth rate of 1% to 1.5 % a year? VNO-NCW has more ambitious plans for the Dutch economy. We are confident that upcoming entrepreneurial talent will put the Netherlands in the economic Champions League. Economic growth is not an end in itself.